In Small Things Remembered » Peace Corps Volunteer Margery Bickler vaccinates Afghan villagers. Several groups of American women were selected for training as smallpox vaccinators by the Peace Corps from 1967 to 1971. 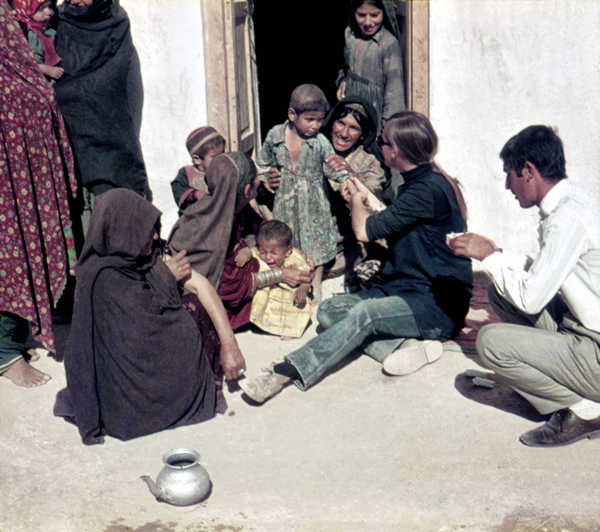 They ventured together with Afghan partners by jeep, on foot, and on donkey to all corners of the country to convince people about the importance of vaccinations. U.S.-Afghan cooperation, under the leadership of the World Health Organization, contributed to the global eradication of this disease. The former volunteers produced a documentary film about their experiences titled, Once in Afghanistan.